If your meat isn't correctly seasoned, even the best cut can taste dull. Here are a few tips and new ideas for seasoning your barbecue dishes! Most importantly: you can always spice things up, so it is better not to overdo it in the beginning. You don't want to have to throw anything away! At the least, all you need to season meat is a bit of salt and pepper and grill for a virtually unadulterated meaty flavor. Before you season your meat, make sure to check the best by date. Only fresh pepper will give you the best flavor. Opinions vary as to whether it is better to use salt before or after grilling. Many recommend only adding salt after grilling because adding it before reduces its water content, making it dry. Others say you can still add salt before grilling. If you would like to do so, start about twelve hours in advance, as the salt slowly changes the structure of the meat. Thus, the lost meat juices are soaked up again. Even when grilling, your meat should stay juicy! Do not add spices just before grilling! Oil: Use top quality, heat-resistant oils such as olive and nut oils. These oils do not burn so quickly on the grill, which is why no bitter substances are released. The basic rule is: The leaner the meat, the more oily marinade you should use. Otherwise it will be too dry. Spices: Here there are no limits. Choose what you like- peppers, chili, honey, garlic, onion, rosemary and thyme are commonly used. Depending on how big the piece of meat is, you need to start marinating at least a few hours before grilling. Otherwise, the meat will not absorb the flavor. Very small pieces, like shish kebabs or skewered meat only need a minimum of 30 minutes to marinate. Thin pieces of meat (cutlets, thin steaks) require one to three hours. Thicker pieces need three to six hours. Really big, whole pieces of meat should be marinated for at least half a day to absorb the flavors of the marinade. The grilled food must be completely enclosed by the marinade. Only use stainless steel vessels for marinating for the best taste. For example, don't use an aluminum bowl. Make sure there isn't too much marinade left on the meat before grilling. Excess herbs and oil are only a nuisance at this stage. They drip on the hot coals and burn, creating smoke, which distorts the taste. What kinds of marinade are there? The classic barbecue marinade is acidic. The advantage to an acidic marinade is that it makes the meat especially tender because the acid breaks down the proteins. These are often based on apple juice, but you can also easily add sugar or honey, or a few pieces of fruit. Mangoes and pineapple combine perfectly with ginger, garlic or onions. 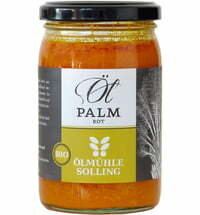 These marinades are prepared with heat-resistant vegetable oil (like sunflower or rapeseed oil) and then season simply. The basis for these marinades are always oils. Chop up a few herbs, match them to a respective type of meat and add them to the oil marinade. 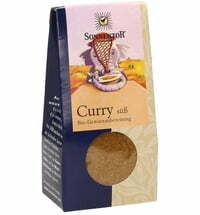 These consist of dried, chopped herbs and spices. The ingredients are mixed and then the meat is rubbed with them. Creamy marinades are made using yogurt, ketchup or mustard. This means they have an extra flavor carrier besides spices and herbs. In our next article we'll conclude our series with an article about how to grill different types of meat.